We will keep the .com domain registered as well, and it will redirect to the .org site. This will be why the website may be offline over the next few days, as the change takes place. Hopefully the old .com email addresses will also continue to work. The charity will be aiming to be a patient advocacy group on behalf of those with systemic body odor or halitosis in particular (research will be aimed at this in particular), but also to promote research and raise awareness into all forms of body odor or halitosis in general. For instance, it makes sense for wealthy societies to have a body odor research center and clinic to best research these problems, and hopefully add halitosis to the criteria also, which would then presumably encompass all forms of body odor and halitosis, which would benefit sufferers from around the world. 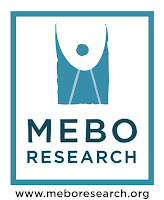 Thanks to everyone who has donated and/or supported MeBO Research and made this possible.